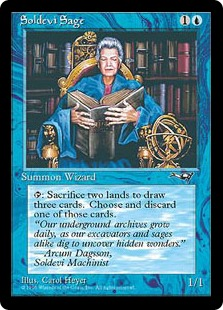 Skill: EX-Evolve Place all cards from your hand other than this card in your Drop Area : Blue "Gogeta" with an energy cost of 7 or more. 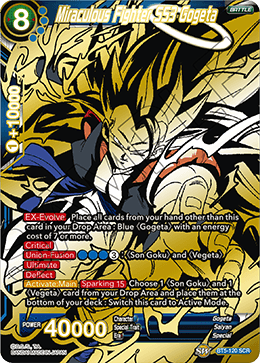 Union-Fusion BBB3: "Son Goku" and "Vegeta"
Activate:Main: Sparking 15 Choose 1 "Son Goku" and 1 "Vegeta" card from your Drop Area and place them at the bottom of your deck : Switch this card to Active Mode. TB 02 World Martial Arts T.